Cobourg beach seen from an offshore yacht. In addition to marina and yacht club endeavours, other parts of the harbour area contribute to the town’s evolving heritage. 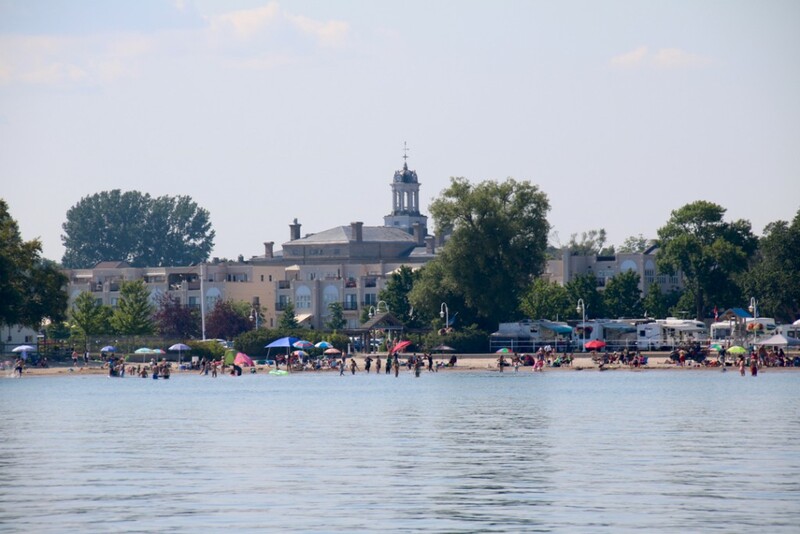 “Cobourg’s waterfront is a unique, memorable and unified experience that truly reflects the history, culture and geography of the Town.” In many ways that goal set out in the Town’s 2013 Parks Master Plan is an accomplished fact. Thousands of migrating birds depend on the West Headland (Langevin Pier) every year as a stopover both in the spring and fall. Many geese, ducks and other birds frequent the harbour, some through all seasons. 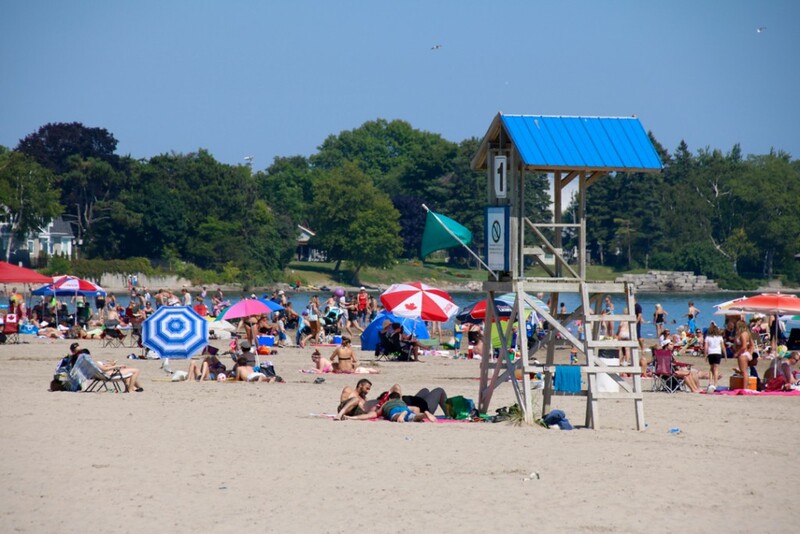 All year round, people drive out onto the East Pier to view activities going on at the beach or simply to take in the sunsets/sunrises over Lake Ontario. Even storms have a special attraction. “Something for everyone” might be an apt description, but in a small town Ontario way! 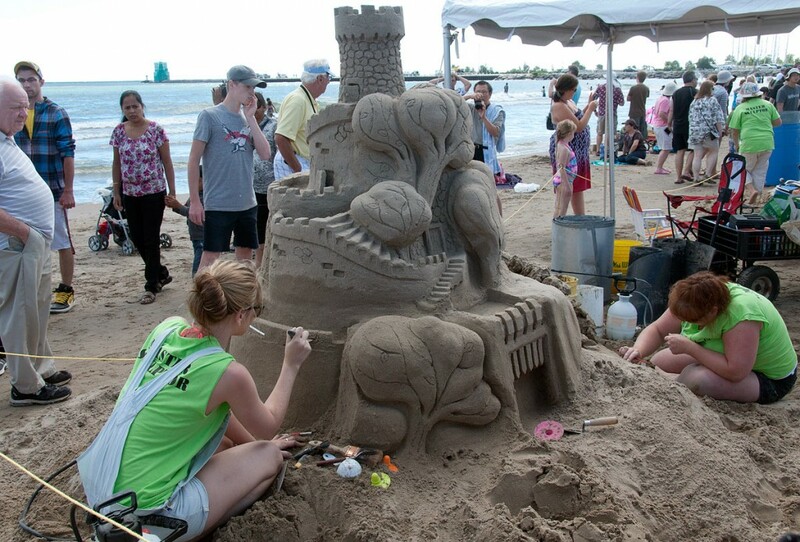 The popular weekend Sandcastle Festival.